Polish Artist Paints 13 Extraordinary Dream! 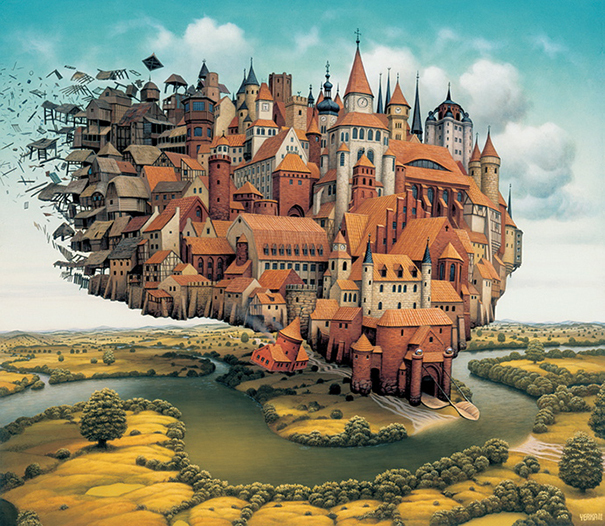 Jacek Yerka painted over 350 acrylic works, all of them are somewhere – mostly hanging in private collections in many countries, some of them are in private museums. It takes sometimes three months to create the final works, starting from ideas drawn with pencil and crayons on sheet of paper, sometimes transformed to larger pastel work and at the end to finished masterpiece. It is hard to put Yerka work to categories, which here are absolutely arbitrary and may seem too simple. It is more precise to say, that Yerka worlds are hosted by creatures (but not monsters), dreamlike landscapes and common objects that were summoned to life . 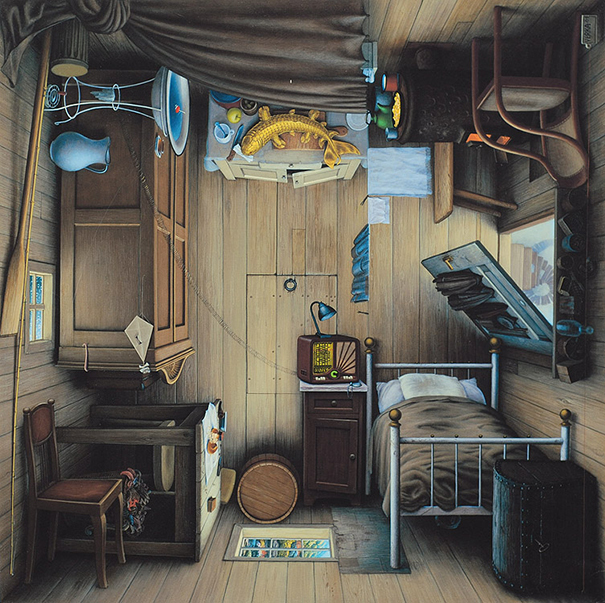 In many paintings you can see references to countrylife, so beloved by the Artist and many events from his life and fascinations (By: yerkaland.com).